There's a very simple secret at the heart of Zelda's success. The games have always been about showing you things you can't do, making you work to get an item, then granting that item the power to do the thing you previously couldn't do. 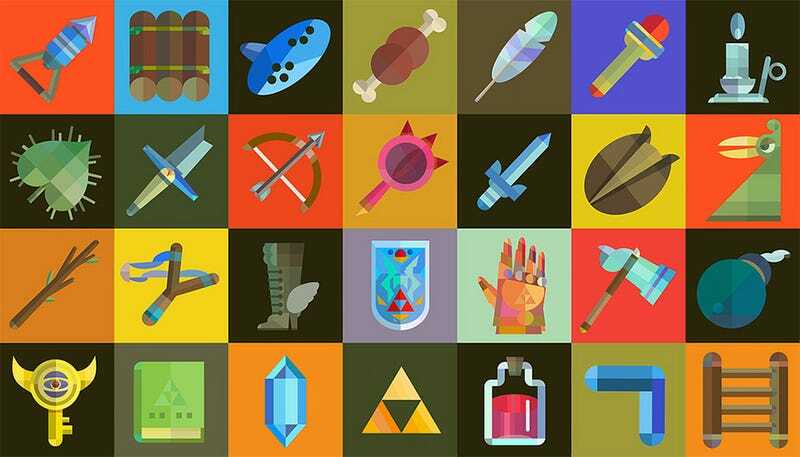 It means that, as time has gone on, the game's developers have had not only a staple of regular items Link employs in his travels - like a boomerang and shield - but an ever-expanding arsenal of junk like heavy boots and musical instruments. In short: Link has a lot of stuff. Here is some of it, presented in a manner pleasing to the eye. (If you like it, the link below shows you where to get it in wallpaper resolutions).